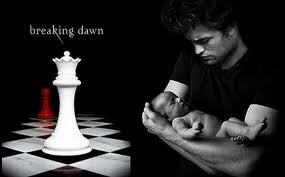 Graphic scene in which heroine Bella gives birth to her vampire husband Edward’s child in the new Twilight movie ‘Breaking Dawn : Part One’ is triggering seizures in cinemas across the US. According to CBS News, Brandon Gephart of Roseville, California was watching the film when he began having convulsions. Gephart only remembers waking up on the cinema floor, before being rushed to hospital, while girlfriend Kelly Bauman was left terrified at the incident.